Don't underestimate the power of technology on your camping and hiking trips, even if you want to get away from it all. Camping apps make it easier to prepare for your trip, and a variety of hiking apps help you find your way and keep you safe on the trail. 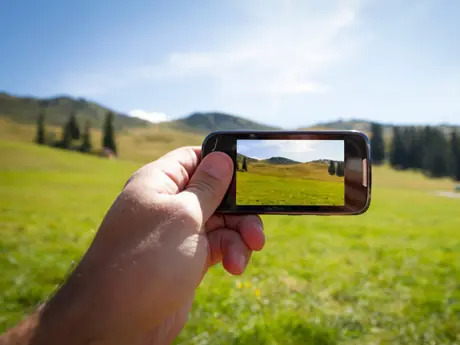 Be sure to download these apps before your next outdoors adventure. If you're not sure where you want to camp, but you know what you want to do while you're there—bird watch, hike, boat, hunt, and more—use this app to locate the campground where you can do just that. The database includes national parks, national forests, state parks, wildlife refuges and Bureau of Land Management sites. Learn the most important survival methods before you head out on your trip. Use this app, based on the bestselling guide, to sharpen your survival skills on both land or sea. Developed by a special air service solider, this apps gives you 16 videos, survival checklists, a sun compass, a survival quiz and much more. If you know where and when you want to stay, use this camping app to find the best site for you and your family. Easy to read maps make it easy to find a campsite close to your preferred destination. The directory includes state, federal and private campgrounds, giving you plenty of options to choose from. Packing is one of the most important aspects of camping preparation. Make your camping lists with this app to ensure everything is in the car before you head out. Start with suggested, categorized items, and add new ones yourself. Use the multiple-list feature to prep for food, sleep and activities separately.